In-store screening for hearing ability is ready for a make-over with our reliable PYOUR Professional Audio In-store Hearing Test Solution. No WiFi required - data sharing via 3G/4G or WiFi. 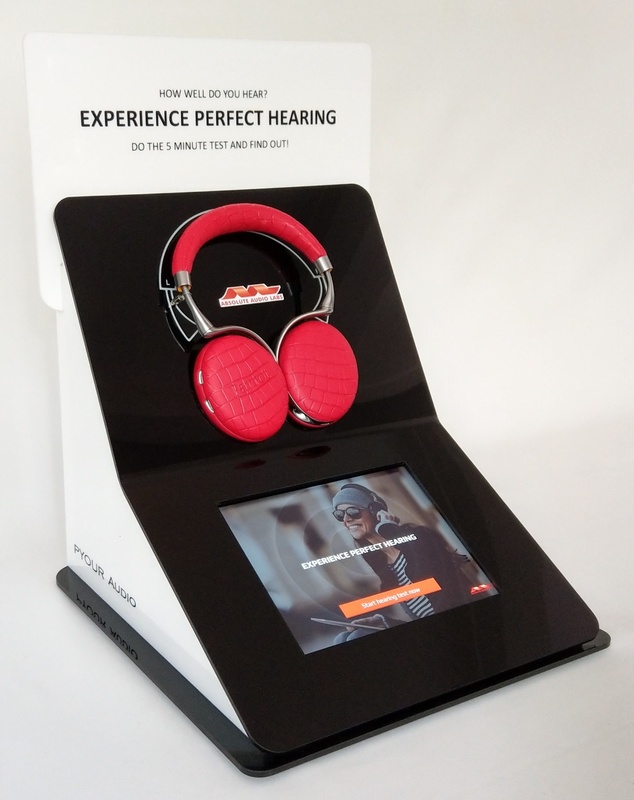 PYOUR Audio PRO offers your consumers to instantly experience what hearing aids can do for them. Choose a setting, for instance a restaurant, someone whispering or just music and experience what a difference hearing aids can make. And... Let a friend / spouse experience your consumer's hearing loss to create a platform of understanding. Contact us for more information on PYOUR Audio PRO!